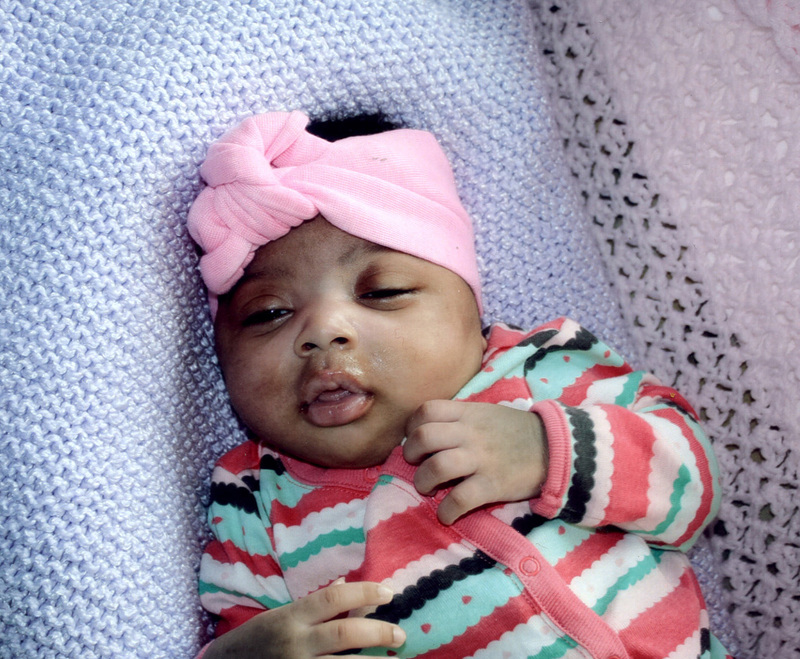 Sariyah Kylin Sheriff, 7 weeks old, was born February 16, 2019 in Des Moines and passed away peacefully at Taylor Hospice House. Sariyah’s memory will be cherished forever by her mommy, Mamawa Sheriff; her big sister, Zalaya Boards; her grandma, Jenneh Sheriff; her grandpa, Alphanso Barney; her aunties and uncle, Isata Sheriff, Dauda Sheriff, Kadiatu Sheriff, Mafata Sheriff, Fatu Sheriff and Blessing Barney; and other loving relatives and special family friends. Visitation will be held from 11am to 1pm Friday, April 12, 2019 at Hamilton’s Altoona Funeral Home, 105 4th St SW in Altoona. Graveside services will follow at 1:30pm at Glendale Cemetery. Memorial contributions may be directed to the family or through their GoFundMe page in loving memory of Sariyah.